At the law firm of Michael J. Griffith, P.A., we represent individuals, not government or big business. Our attorneys put the gloves on for clients in Pensacola and throughout the Southeast who have been arrested or injured in an accident, and we provide knowledgeable advice and advocacy to those dealing with divorce and child-related issues. Our personal injury attorneys provide skilled and effective legal representation for individuals who have been injured as a result of someone else's negligence. We also represent family members in claims for wrongful death. Please click to continue reading about our services and the types of cases handled by the personal injury lawyers at the Pensacola law firm of Michael J. Griffith, P.A. Continue reading about the services provided by our Pensacola family attorneys. 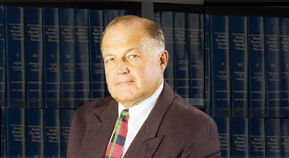 Speak with an Experienced Attorney at the Law Firm of Michael J. Griffith, P.A. If you need legal advice or representation, please contact Michael J. Griffith, P.A. to discuss your personal situation. Our criminal defense, personal injury, and family law attorneys will listen to you, and take the time to truly understand your needs. Located in Pensacola, we represent clients throughout Florida and across the entire Southeast.